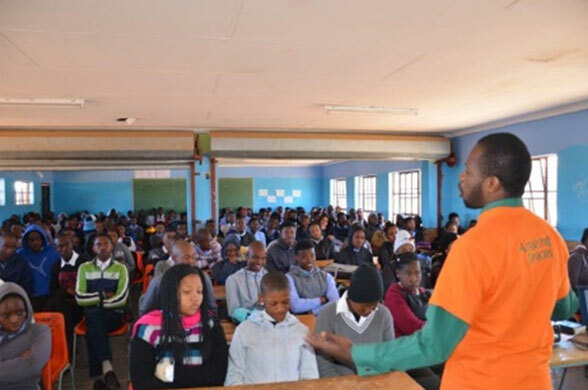 Amazing Graces (AG) has developed a unique, tailor-made Curriculum geared for South African youths and their communities. The various subjects address the specific challenges (spiritual, social, emotional and physical) of our youths and equip them to deal with their peculiar circumstances. It is based on a Christian moral foundation and empowers participants with knowledge and skills to live a dignified and constructive life. It will benefit youth members, their families, communities and our country as a whole. The AG Curriculum is a growing document and will remain work in progress as new material and inputs are continuously added by our Volunteer presenters. 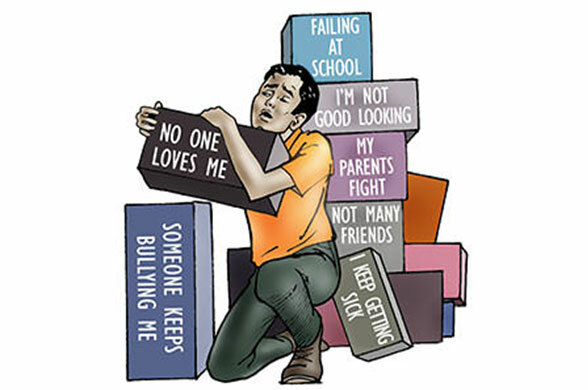 Teenagers, specifically those living in disadvantaged areas in South Africa, have serious personal and social problems to contend with. We believe the only way to address these and live a happy, focused life despite circumstances, is to put your trust in Jesus Christ and let His instructions be your guide in life. 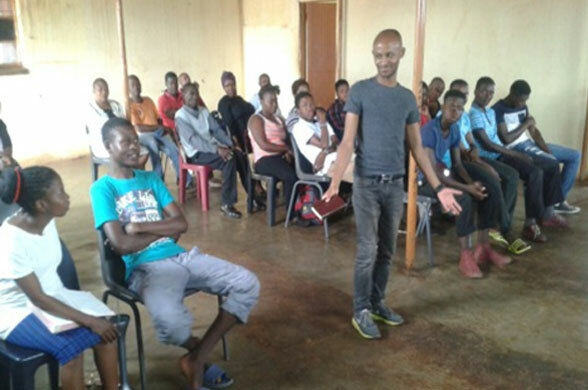 Using Biblical guidelines, this course helps youths to make the right choices in life and equip them to become honourable, responsible leaders in their communities. This subject has a Biblical set of chapters and a Social set of chapters. The Bible – why should I read it? South Africa has gone through many painful experiences in the past to achieve the Constitutional Democracy which we have today. 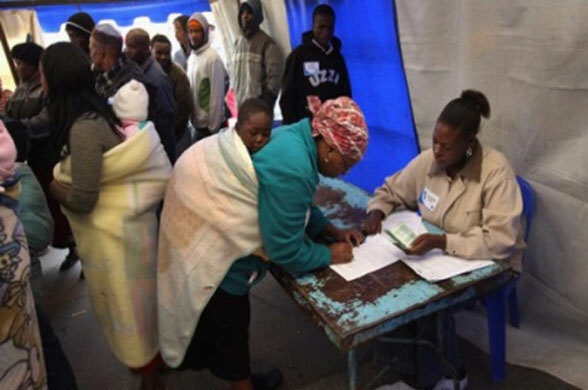 This system gives equal rights and opportunities to all South African citizens. However, if people do not understand how a democratic government works and what the role of the citizen is, we will not achieve this. 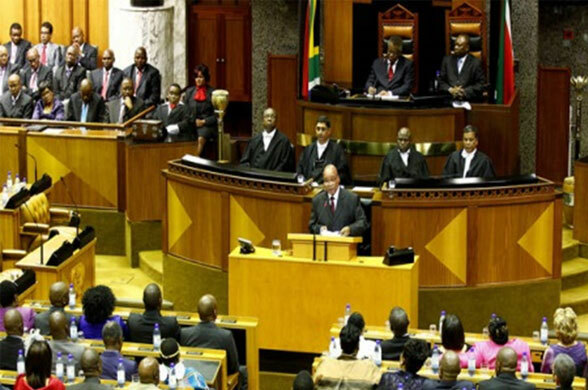 It is of crucial importance that the people of South Africa are informed about matters that concern the governance of the country and affect their daily lives and livelihood. If people are ignorant about channels available to them to solve matters constructively, they might turn to violence and destruction, to the detriment of all South Africans. Who is a South African citizen? Almost half of our brothers and sisters in the country do not know where their next meal will come from. Many children experience hunger. What a terrible fact! One of the best ways to address this is to teach people to grow their own food. 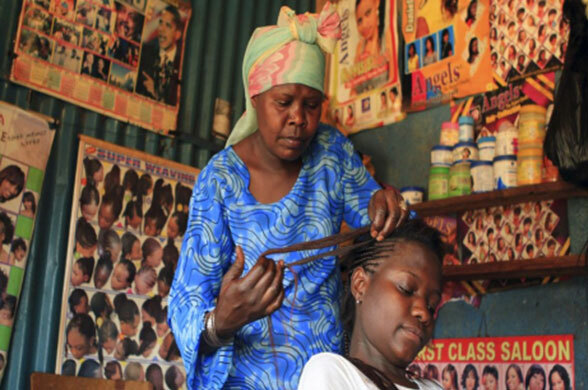 This re-instates human dignity and teaches values such as hard work paying off, independency and sustainability. 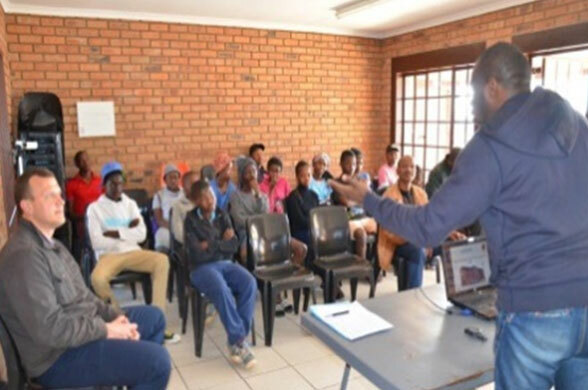 Amazing Graces has partnered with Foundations for Farming (FfF), a Christian organisation based in Zimbabwe, whose purpose is to serve God by teaching people how to produce their own food and get out of poverty. Their key values are 1. Faithful stewardship of the land and 2. Giving unselfishly in order to receive. 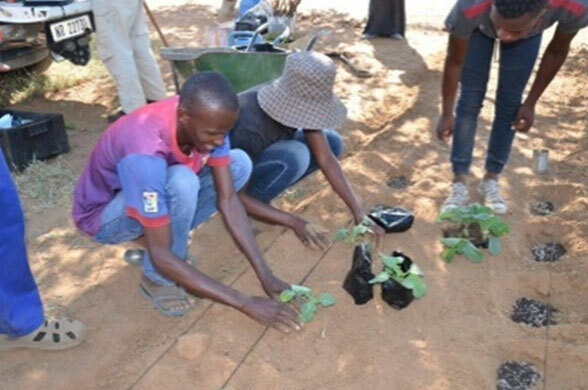 The programme consists of an Introduction (how to get out of poverty; principles of Conservation Agriculture; how to lay out a vegetable garden) and the Practical application (prepare and plant a garden with 8 different vegetables). Foundations for Farming visit Amazing Graces Youth groups in various communities on a frequent basis and teach them to establish their own vegetable gardens. 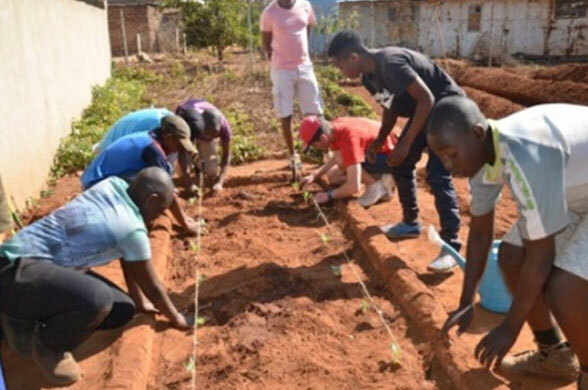 Together we have planted gardens and taught communities in Siyabuswa, Mthambothini, Hammanskraal, Thembalethu, Moloto, Ramotse, Kwamhlanga, Mokopane, Emalahleni, Atteridgeville, Olievenhoutbosch, Reigerpark, Mokopane, Mogogelo, and more to come. Children who read are those that excel at school and enjoy a rich intellectual and emotional life. 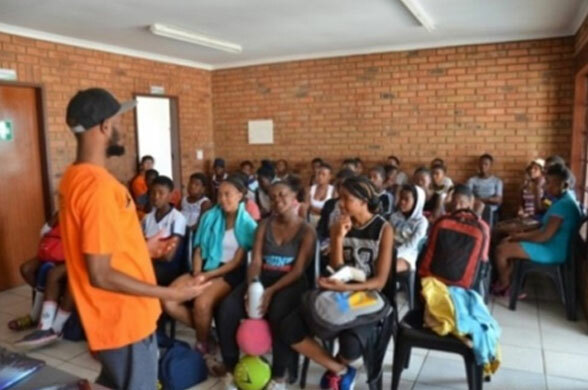 Unfortunately, according to an international study, 43% of South Africa’s Grade 5 children were unable to read at even the basic reading level. The aim of our Reading Clubs is to spark a love of stories among adults and children. Reading opens the world and empowers a person to access the knowledge, imagination and reams of humankind. It will make an unthinkable difference to our country if we have youths that are literate and can transcend the limited environment in which many of them live. In partnership with Nal’iBali we have started to introduce the wonder world of reading, story-telling and books to children. The programme usually includes listening to a book-reading, the writing of your own story and performing it in a group, and making your own books. A reading club is a place where children go by choice to enjoy books and stories. It is a relaxed environment that is more like home than school. It’s a place where people who love stories and books, meet regularly to read, tell stories and talk about what they are reading with children of all ages. Sometimes they also do other fun activities related to stories and books, such as writing. Games and songs: These are fun ways to start a session. Teach the children the games and songs you know and ones they know too. Sings songs in the home languages of all the children. Reading aloud and story-telling: Read aloud and tell a story in each session to share adventures and experiences that real life doesn’t offer. Reading together and alone: Let children who can read, share books together in small groups or pairs. Let a child read to you or to the group. Talking about books: Introduce new books by showing them to the children and telling them a little bit about each one to get them curious and keen to read. Writing: Children can make their own books or read themselves and share with others, or write about books they have read, or make greeting cards for friends and family. Arts, crafts and drama: Encourage children to paint or draw pictures, or make puppets related to the story you just told. Or allow them to act it out. 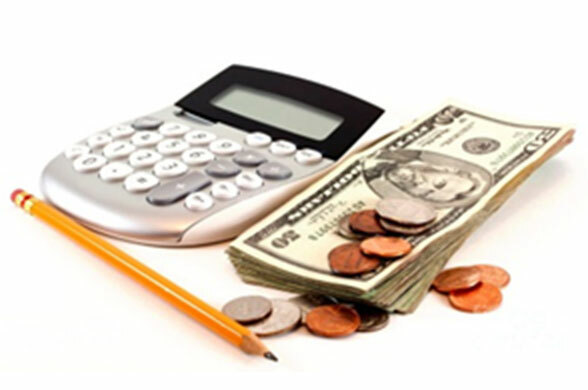 In general the South African population has a poor grasp of money matters, and as a result do not manage their money wisely, leading to perpetual poverty. In addition, unemployment is a sad fact for more than 25% of our population. The best way to get out of poverty if you are unemployed is to start and run your own business. 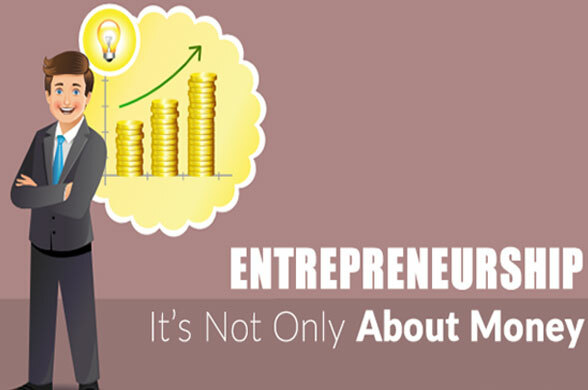 Entrepreneurship and well-managed personal finances will bring people on the road to financial freedom, independence and prosperity. South Africa ranks in the top 20 countries worldwide in terms of undernutrition. The negative effects of under-nutrition entrench poverty and inequality. Children who are undernourished perform poorly at school, get sick easier and cannot keep up with physical demands. They just fall more and more behind. Shops are increasingly accessible, also in rural areas, but healthy food is expensive. 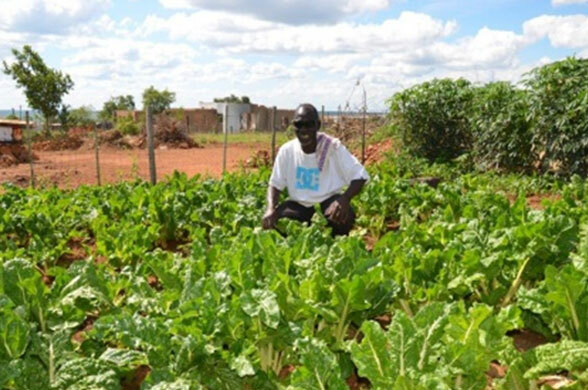 Fortunately each person who has access to even a little piece of land, can grow some vegetables to supplement the basic diet. The produce from the vegetable gardens can feed the family. But hopefully we soon have more than we can eat on that day, so what do we do now? The extra produce can be preserved and/or used in creative recipes. This opens up new possibilities for economic progress, such as home industries, tea gardens or even selling at markets or stalls. In this course, people are taught about good nutrition, and also how to preserve fresh food and create tasty dishes from basic foods. South Africa has a rich food heritage due to the diversity in cultures and environments. Often mothers had to keep their families well-fed by making do with scant resources and often difficult circumstances. 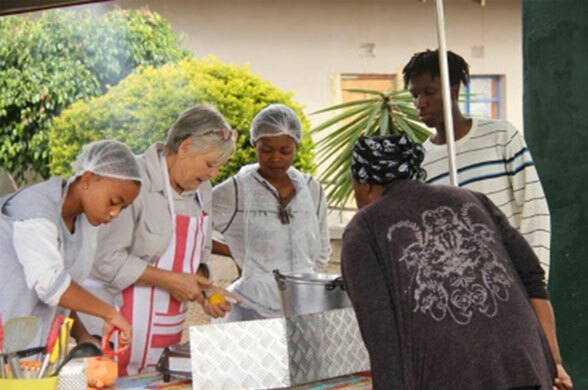 So this African Heritage Cooking course is meant to be a growing treasure trove of recipes designed and adapted especially for South African circumstances, and various environments. 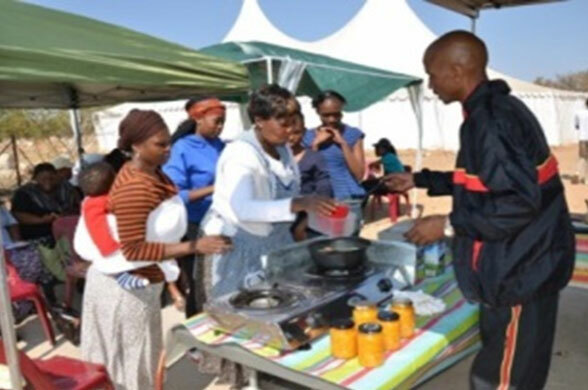 Cooking classes are in the form of open-air presentations from a trailer-kitchen by Johanna Jackson. 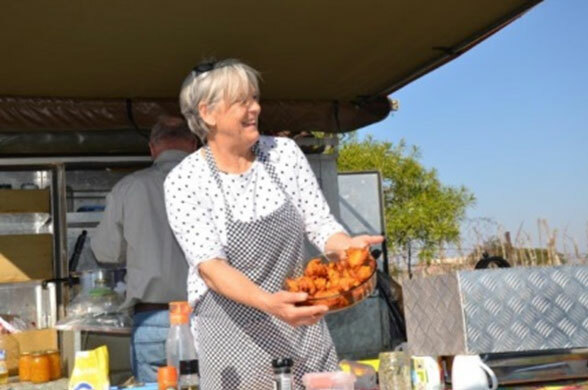 She is an expert in traditional ‘boerekos’ and preservation methods and is busy compiling the African Heritage Recipe-book. Cooking classes are usually presented together with vegetable garden-training. We do various cooking, baking and preserving methods such as breads, soups, jams, stews, pickles, and many more, choosing foods that are in season. For example, preserving oranges, tomatoes, grapes, beans by making jams and bottled salads; sweet potato soup, -fritters, -chips and –bread, cauliflower soup, spaghetti in tomato sauce, beetroot salad and much more – all in the open air, teaching our people to make do with what we have. Recreation: Spirits are lifted, talents are developed, and knowledge and skills are imparted by play, sports, games and educational outings. We regularly end our presentations with indoor and outdoor games and sports. We aim to develop this subject with drama, music, gospel choirs and Bible quiz tournaments. 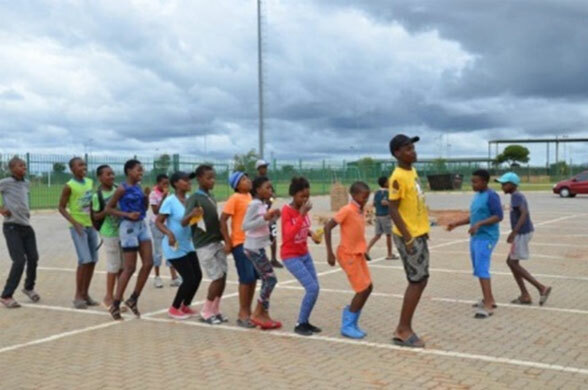 Outings: Youths in the rural areas have very little exposure to the outside world. 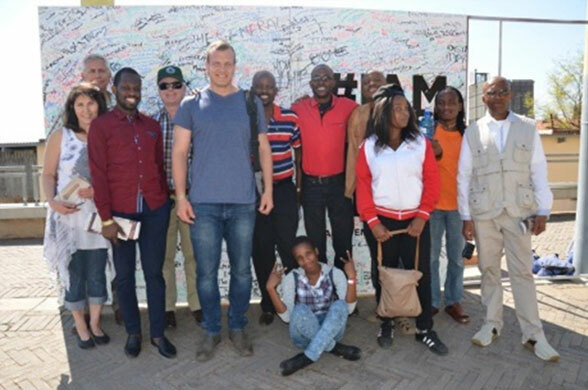 Many of them have never been to a city, visited historical monuments, been at a game reserve or seen the sea. 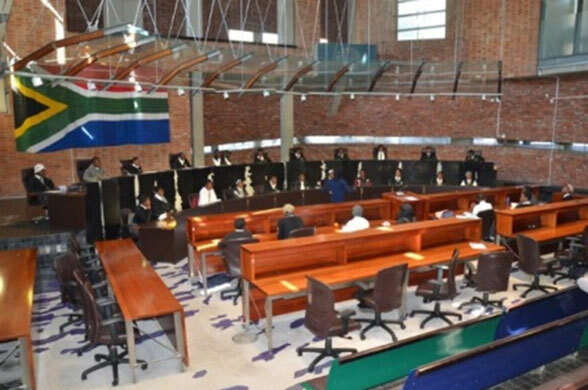 We have been taking youths (especially those that faithfully attended the Democracy Education classes) on outings to the Constitutional Court in Johannesburg.